It’s about time. 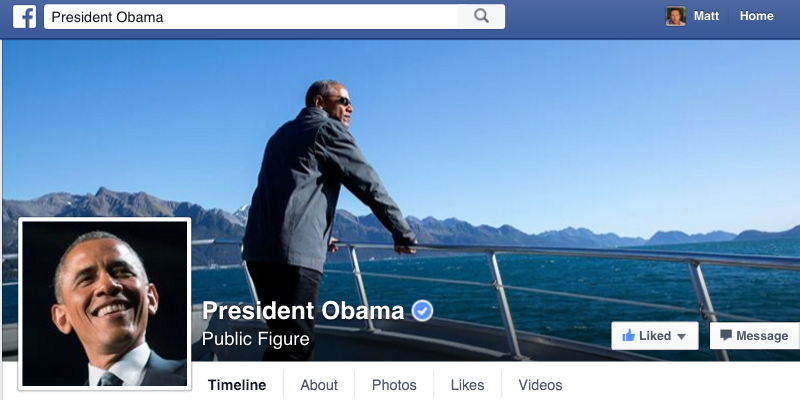 The president of the United States finally has his own Facebook page, nearly 6 months after joining Twitter. Given that it just launched today, the page is pretty well-stocked. It makes full use of Facebook’s Timeline feature to highlight his first and second term oaths, as well as earlier milestones including his marriage to Michelle Obama. Meanwhile, a post made today shows the president wandering around the White House’s backyard to address climate change (he’s heading to Paris in a few weeks for a summit on the topic). You can head on over to Facebook.com/potus to check it out. Previously, official statements were given via the White House page, but this new one should feel at least a bit more personal. Given the ‘potus’ username, it’s likely the page will be handed over to the next president once he or she takes office, as will be the case with the equivalent Twitter handle. In the meantime, you can expect Obama to show up even more often on your feeds, though this time with his own words (or at least those of his social media managers).